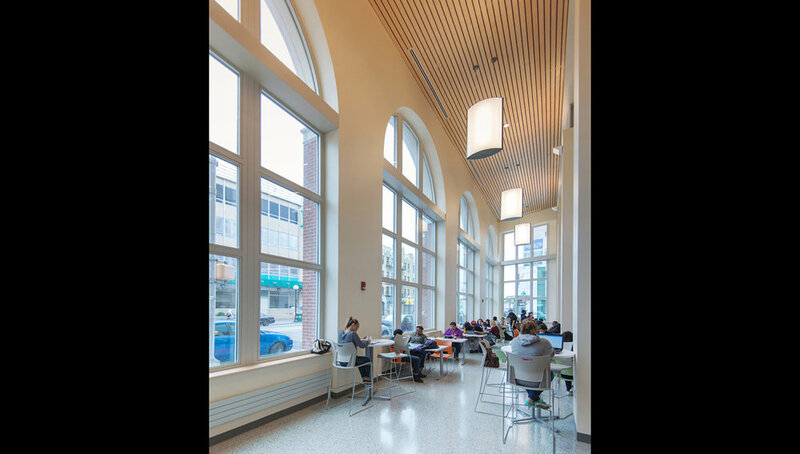 The new facility for Hudson County Community College, designed by NK Architects, is an important addition to the Journal Square campus as well as Jersey City. 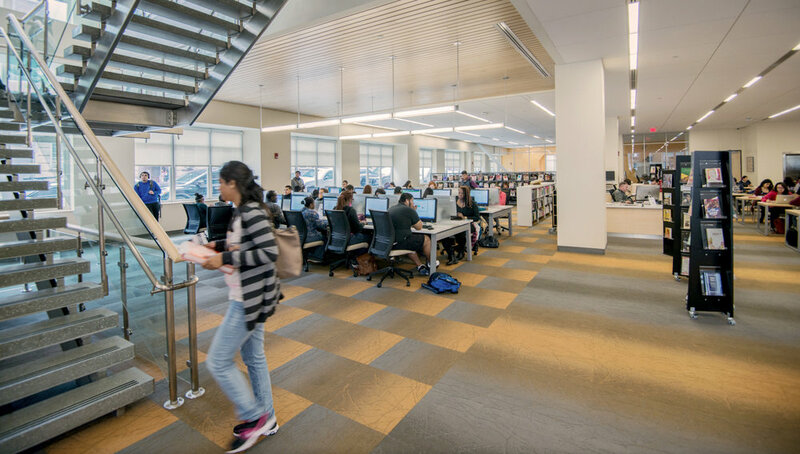 The new library, on the first two floors of the six-story building, is over 30,000 square feet, offering students and faculty a modern and progressive center for learning. 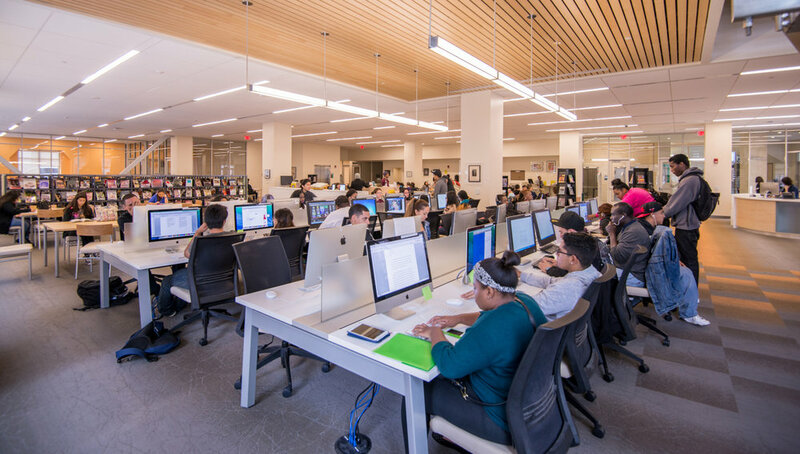 It houses traditional printed collections as well as e-books and digital multi-media supported by designated computer stations, copy centers, wireless internet service and power supplies for laptops. 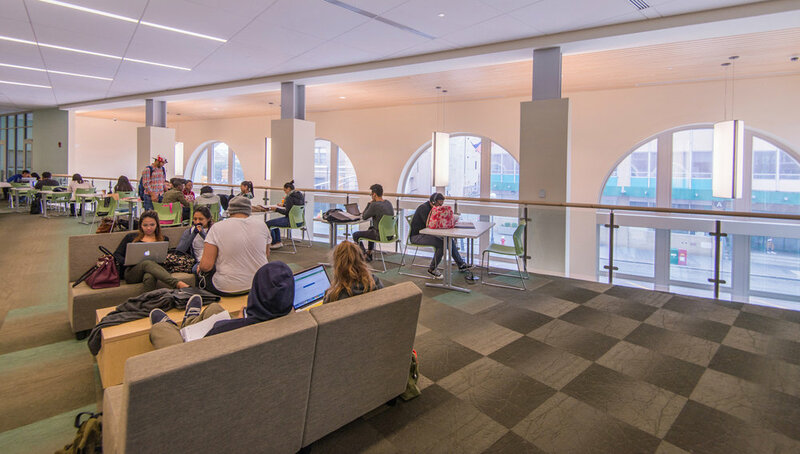 Students have personal and quiet places to study along with several enclosed work rooms for more collaborative group activities. 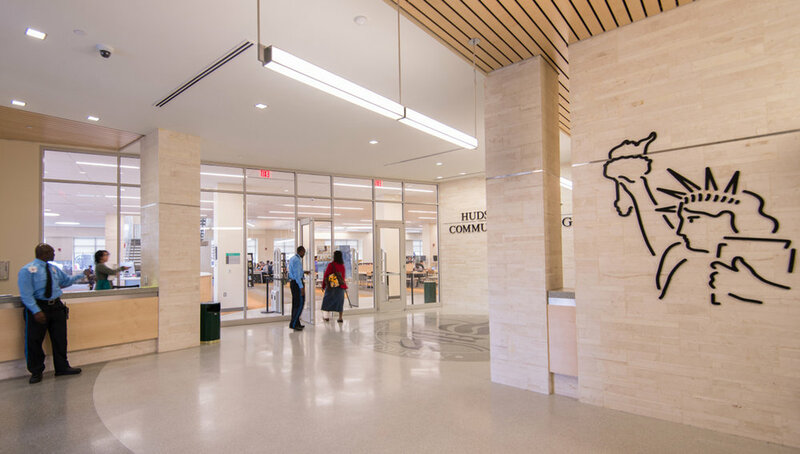 Several information stations are located throughout the library for easy access and assistance to all students. 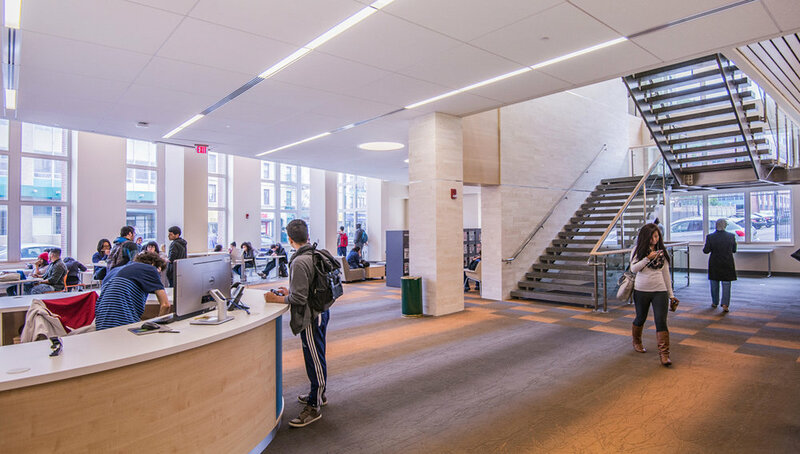 A large two-story reading room along Sip Avenue visually connects the students to the Jersey City streetscape. 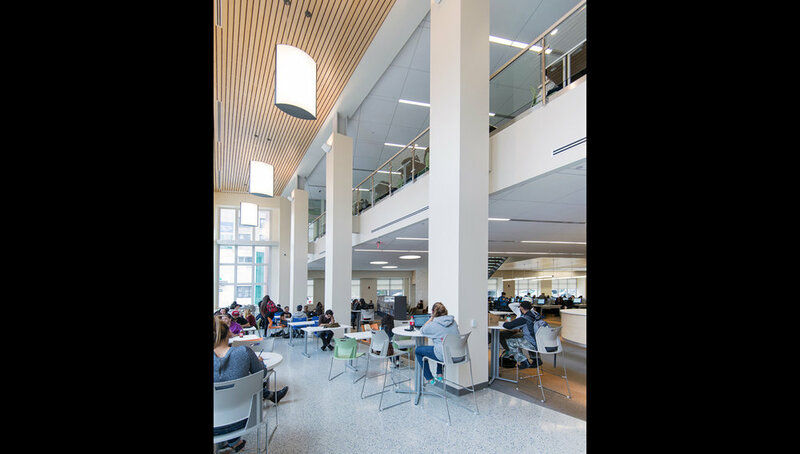 It has casual seating and a coffee bar to offer students and faculty a place to read and congregate before and after classes. The three floors above have approximately ten classrooms per floor with designs ranging from traditional learning to computer labs to tiered lecture classrooms. 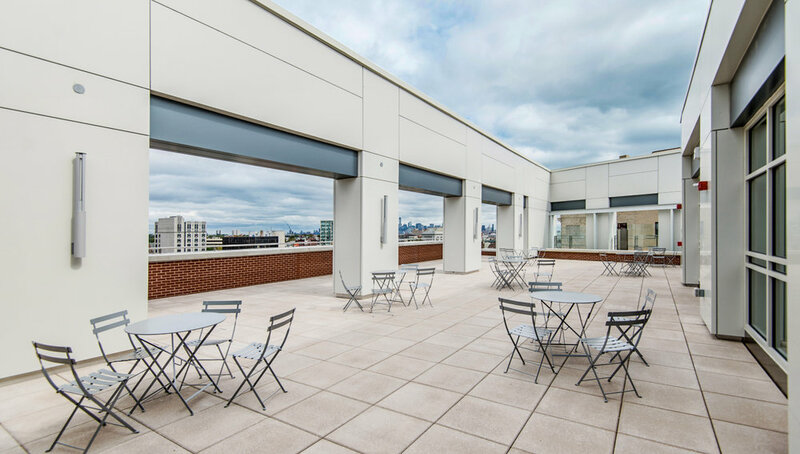 The sixth floor, which is stepped back from the street, has a rooftop terrace and large lobby/exhibition space for progressive art installations and student gatherings. The adjourning three classrooms to this gallery, which are flexible in size with moveable partitions, also provide the College with a large venue for special events and programs. 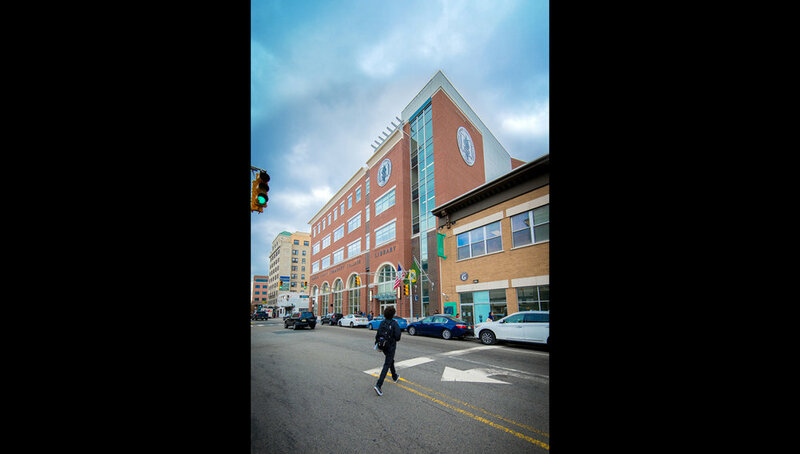 The exterior of the building is predominantly brick and is designed with a strong traditional reference to the early century architecture found in Journal Square. 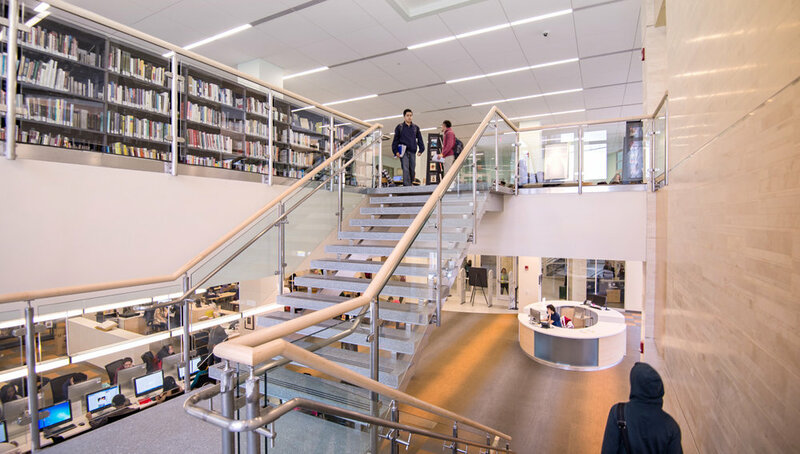 The library has large two-story arches, granite accents and complimenting metal panels for a contemporary edge. The building is Silver LEED Certified.